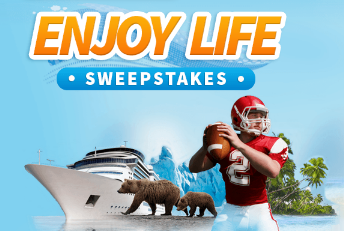 Clayton Homes Enjoy Life Sweepstakes – Win a Caribbean vacation! Win a Caribbean vacation for 2! ENTER SWEEPSTAKES HERE – Clayton Homes Sweepstakes page. ENTRY LIMIT – Limit: One entry per person/per email address. United States and the District of Columbia, excluding residents of AK, HI, NY, and RI, who are the age of majority or older in the jurisdiction in which they reside at the time of entry. 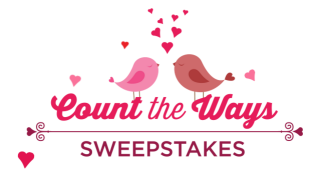 SWEEPSTAKES PERIOD – The Sweepstakes begins on September 2, 2014 at 12:00:00 p.m. Eastern Daylight Time (EDT) and ends on November 30, 2014 at 12:00:00 p.m. EDT. -All meals and soft drinks, juice, beer, wine and well drinks included. USA Today Tripology ‘s Caribbean Trip Giveaway Sweepstakes – Win a trip to the Caribbean! ENTER SWEEPSTAKES HERE – USA Today Sweepstakes page. ENTRY LIMIT – You may submit only one (1) vote per day during the Sweepstakes Period, you get one chance to win for every vote you submit. ELIGIBILITY – Tripology’s Caribbean Trip Giveaway is open to U.S. residents (excluding Puerto Rico) who are 21 years or older at the time of entry. Winner must have valid U.S. passport. SWEEPSTAKES PERIOD – The Sweepstakes will begin at 12:01 a.m. (E.T.) on April 30, 2014 and end at 11:59p.m. (E.T.) on June 11, 2014. PRIZES – The Grand Prize Winner will receive a Caribbean vacation of his or her choice which may be one of the Tripology Caribbean Trip Giveaway trips or another trip scheduled with one of Tripology’s member travel agents. (ARV: $4,999.00). The value of the trip will not exceed the stated ARV. Sponsor will provide Winner with instructions for redeeming the prize with one of Tripology’s member travel agents. Travel must be booked by December 31, 2014.